According to the theory of entropy, everything in the world is moving from order to chaos. This theory is most evident when you look at the news on a daily basis. We seem to be achieving greater things in the technological sphere, but human values seem to be on a steep decline. Social order is breaking down quickly, and if we don’t rekindle our basic humanity, the world could be in some deep trouble. 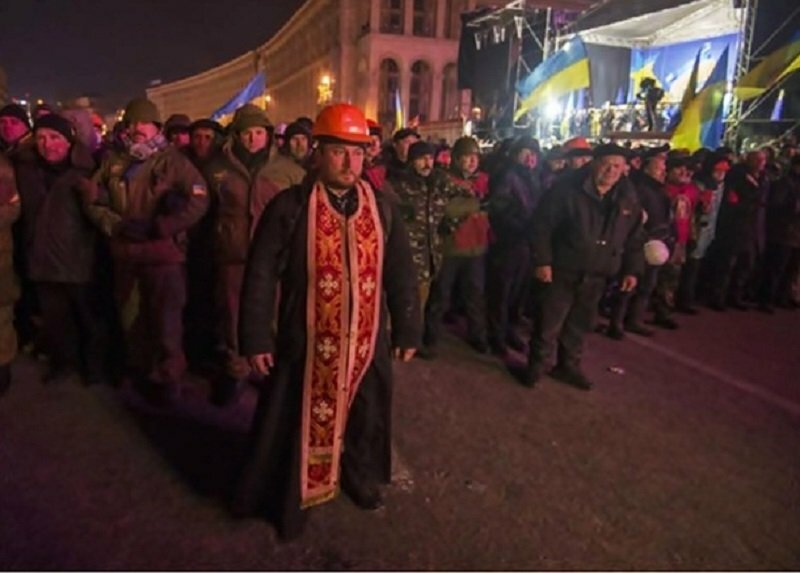 Protests are held on a daily basis in different parts of the world, but this is the list of best photographs taken during protests, showing that the essence of humanity is a lot more complex than we give it credit for. Our biases can be our greatest weakness. 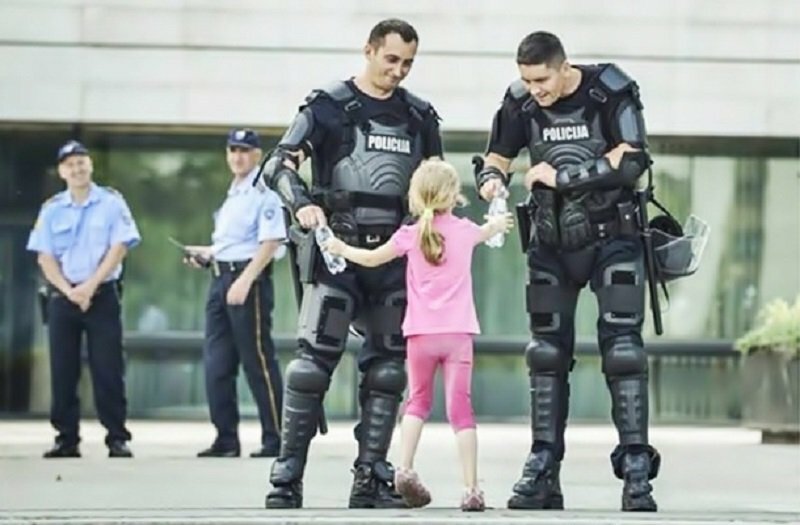 This little girl clearly has no bias as she is seen helping some policemen with water on a hot day. 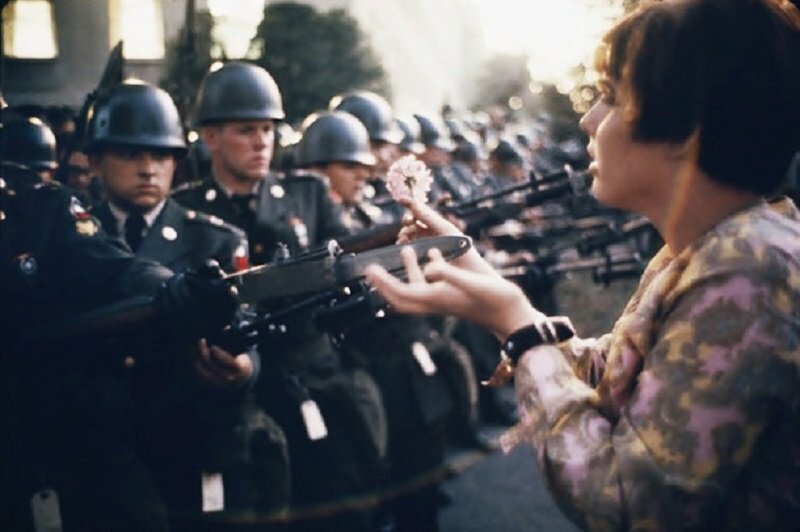 This protester is showing the police just how non-violent her protest is by handing them a flower.